As a global leader and one of the original linear actuator manufacturers, we understand that to prosper a business must seek to establish a unique presence in the marketplace. Firgelli Automations accomplishes this by building constructive and abiding relationships with end-users and businesses alike, working together as a team to accomplish impressive feats by converting electrical current into precise linear motion. 'Firgelli is a dependable source for trusted names such as NASA, SpaceX, General Motors, Tesla Motors, General Atomics, and more. The applications of our products extend from TV lifts and automated furniture, to armoured vehicles, all the way to advanced air-brake spoilers for supercars.' - Robbie Dickson, CEO Firgelli was built around the concept of ‘the internet of things’: the barriers which faced the procurement of goods have been torn down leaving a simple way for our global partners to see what products are available, order, and have their order fulfilled the same day. No matter your application, we have an automated solution for you. Reference Media is more than a friendly audio shop. We are a brick and mortar store located in Bellingham Washington. We provide honest and professional Home Automation systems design for small remodels to the largest of estates. We have years of experience in matching our clients ears with the desired Hi-Fi Audio systems for every budget. Individually designed home theater systems and media rooms with the desired ascetics and functionality. Elite Home Theater Seating (Elite HTS) is an internationally recognized manufacturer of Ultra Luxury Theater Seating for residential and commercial projects. Many of our theater chairs are in some of the finest public VIP cinemas in the world including the Venetian Hotel in Macau. Therefore our theater seating must be built and engineered to withstand the use of countless daily visitors to these commercial theaters. With each of our heavy duty theater chairs weighing in excess of 165lbs (79kg), they are definitely built to last, and come with a 10 Year Warranty. With expertise in design, layout, manufacturing, and production – you can be confident that the Elite HTS team is ready and able to help you get the most out of your custom theater seating. Whether you’re looking to complete the design of your home theater room, or you want to update the seating in your corporate screening room – we will work with you to ensure you get the seating that works specifically for your needs. Each of our chairs must fulfill the 4 C’s of our Diamond Standard criteria of: Comfort, Craftsmanship, Customization and Customer Services. To learn more about the high standards we set for ourselves, and why you should choose Elite HTS, please click here. 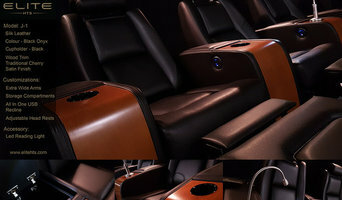 You can also view our client list and read about what they have to say about their Ultra Luxury Theater Seating by clicking here. Elite HTS was founded over 10 years ago by our President and CEO Bobby Bala. With a background in CG Animation and Video Game design, Bobby was focused on designing and delivering the sleekest and highest quality theater seating possible. Our first ever order was actually built out of an old abandoned barn. Now, more than 10 years later, Elite has grown from those humble beginnings to a new, state-of-the-art facility all while providing theater seating to our many satisfied worldwide clients. Because we custom manufacture each chair, we can provide you with personal customization to ensure that each chair has maximum comfort, durability, and styling you desire and deserve. Lastly, the Elite HTS team is honored to have achieved an A+ rating with the Better Business Bureau for nine consecutive years. We are DUNS registered and members of CEDIA and the American Society of Interior Designers (ASID). We provide simple to use & complete electronics integration in the home and for the commercial business. We help people achieve beautiful and precise room acoustics. 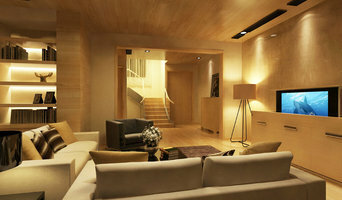 Services include: •Recording studio, listening room, music room and home theater design. •Acoustic treatment design and consulting. •Eco-friendly acoustical design. Own a studio or venue? We can optimize your room acoustics to help you make your clients sound amazing. OPEN SOURCE ACOUSTIC DESIGN RESOURCES: Check out our free resources to help you treat your rooms for better sounding recordings and mixes: •Open source, optimized DIY sound diffuser blueprints (acoustic treatment you can build yourself) at <a rel="nofollow" target="_blank" href="http://arqen.com/sound-diffusers/">http://arqen.com/sound-diffusers/</a> •Room layout, studio design and soundproofing tips at <a rel="nofollow" target="_blank" href="http://arqen.com/acoustics-101/">http://arqen.com/acoustics-101/</a>. We design systems specific to your home, office, or getaway and most importantly your budget. To enjoy the pleasure of quality equipment, design & professional installation you need the experts at Audio Video Excellence. Contact us by phone, email or visit our showroom to see some of the amazing possibilities. 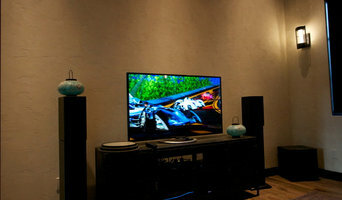 We have been installing Victoria's best home theatre and home automation systems since 1999. We work closely with builders, designers and the clients to ensure the final product fulfils all the wish list. We are a full spectrum home technology company providing services to residential and commercial clients in Metro Vancouver. We base our services on quality, diversity and innovation. We priovide a diverse range of technology services from basic burglar alarm to fully integrated audio video and home automation systems. We are a full-service home automation, alarm monitoring, integrated security systems and low voltage wiring, home theater design/installation, Multi-room audio system and Access Control system providers located in Surrey, BC area of western Canada. We pride ourselves in providing our clients with the highest quality workmanship and an unparalleled level of service. We take utmost care in addressing specific home automation and security needs. As your one stop low voltage system integrator, we are: Locally owned and operated. Committed to providing the highest quality service. Dedicated to providing the latest in technology solutions. Our system specialists are well qualified, experienced, helpful, professional, and trustworthy. Our mission is to provide the best of our services to our clients so that their peace of mind, respect, and value prevails. Our reputation is based on the three core principles of business ethics, latest technology, and integrity. Dhaliwal Insulation Ltd specializes in Renovation New Residential and commercial Insulation, Batts Insulation, Rigid Insulation. We are a family owned-operated company that has been successful in all types of insulation business. Contact us at 604.671.2308. Please call us Today. More Than Audio is a Seattle based company specializing in programming and IT work. Cutting Edge Design, Inc. is an elite audio, video and technology integrator based in Mukilteo Washington, a suburb several minutes north of Seattle. From elaborate home theater systems to cutting edge business conference rooms, Cutting Edge Design, Inc. has offered a broad range of residential and commercial audio video and technology products, services, and solutions for over 18 years. From our knowledgable and friendly sales staff to our experienced and certified installation technicians... we are here to support all your audio video and technology product, service and solutions needs. Find a home media designer on Houzz. 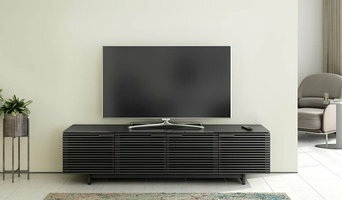 Narrow your search in the Professionals section of the website to Victoria, BC home media designers. You can also look through Victoria, BC photos by style to find a room you like, then contact the professional who designed it.